This painting I found was in a pile of unwanted garage sale items about to hit the trash. Lucky for me, I was able to salvage a few of them before their journey to the garbage dump and ultimate demise. 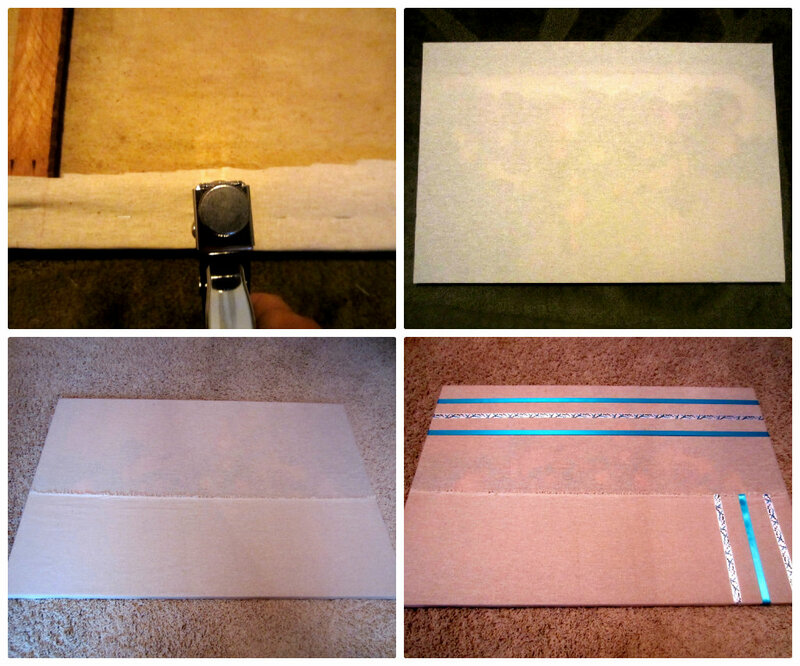 I am re-doing my office into a craft room…yay… and wanted to turn this old painting into a craft organization board. I made an organization board for my daughter’s room with an old painting and her first baby blanket, but for this one, I wanted to make it a little different. With a little tender loving care I literally turned this piece of trash into my treasure. Step One: Disassemble your frame. For this particular frame the canvas popped right out. It was nailed to the frame, so I had to carefully remove the nails. At this point I cleaned both the canvas and frame as best as I could. 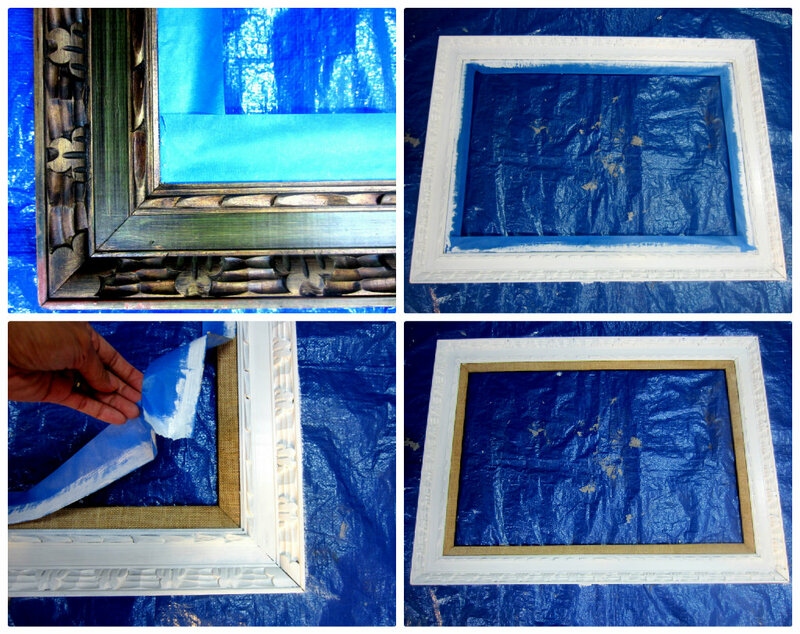 Step Two: Paint your frame. 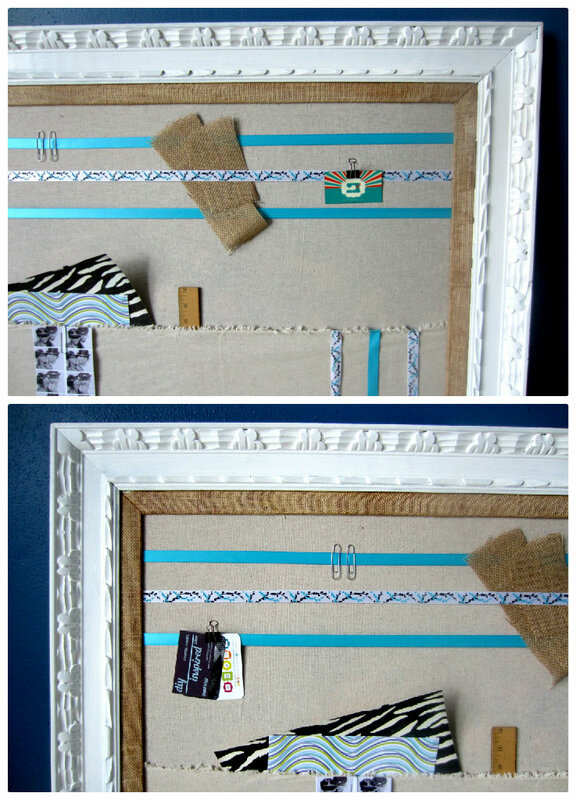 This frame has a fun natural fiber edge to it (score!) so I had to use painter’s tape to protect the edges. I used left over paint I had from other projects. Otherwise, I would have spray painted it because it would have been easier and faster. I applied two coats of paint. Step Three: Cover the canvas. While I was waiting for the paint to dry, I covered the canvas with some utility fabric that I bought using a staple gun. I added a pocket for extra storage, and ribbon as well. I played around with the ribbon until I got my desired pattern. 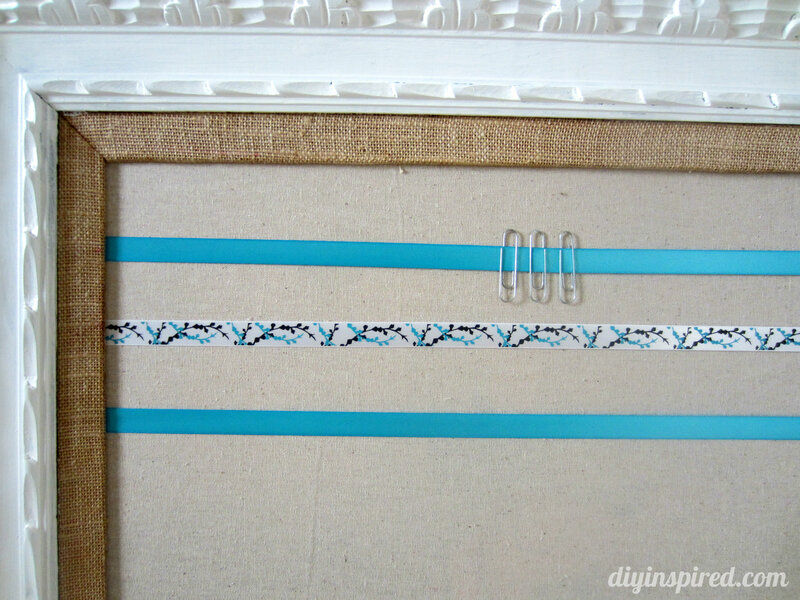 I attached the ribbon using the staple gun as well. Step Four: Reassemble the frame. For this particular frame, I had to nail the canvas back onto the frame. That’s it! 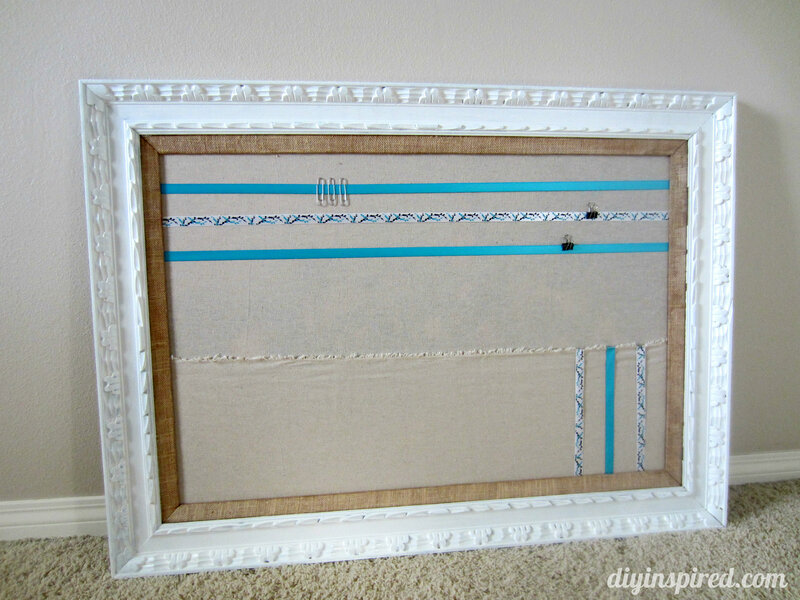 This project was so fun for me, and now I have a fun piece for my new craft room! Sneak peek coming soon! LOVE LOVE LOVE! I just did a chalkboard one (it’s a guest post on my friend’s site so I’ll send you the link) and I LOVE this too! I want to make one now! Ooooh! I wanna see! Send over the link!